The Eagle/MEN trecena is lifting us up so we can See and Experience the Presence of the Creator. At the foundation of all our Dreams is to Know the Creator, the Hope to be rejoined as One, and to Experience Love and Beauty. These Dreams always reflect our Highest Aspirations and the Source of our Greatest Passion. As the Intention of the Creator, these are the Dreams most capable of coming true. Earth/CABAN reminds us that the Creator’s Highest Creation was a Living Thing of Beauty. Earth is a symbol of perpetual movement. It is constantly renewing and recreating itself as a Thing of Beauty. Human was made as One with this Creation, and like the Earth, our Highest Purpose was to perpetually renew and recreate ourselves as a Thing of Beauty. Tone 3 presents the first day of movement. Through our movement toward an Intention, our Dream takes on Life of its Own. The Love we invest in an Intention for the Highest Good of All is the most Perfect Expression of our own Beauty. Today is the birthday of a new Intention to Know the Creator. Our Intention will come to life as a vibration born of our Breath and Movement. A Dream born of Love and Passion will hold it’s own inherent power to move us forward. Movement is the Sign of Life. Our First Place to See and Experience the Creator is Mother Earth. She is the reflection of the Creator’s Beauty that would always be with us, revealing Beauty in Every Direction. The Earth is our first evidence of the Presence of a Divine Creator. The Earth also reflects the Creator’s intention of Divine Justice – that everything is equal in its Beauty. From the macro to the micro, no detail was left untouched by Creator’s hand. Every part of every thing reflects Harmony and Beauty in its Design. The Creator would have us Know the Perfect Divinity of all things, both in Spirit and in their material form. Through our Higher Vision, we could recognize that all we have to do to Know the Love of the Creator is to Open our Eyes. The Creator made its presence knowable through all of our Senses. To Know the Love, Peace and Presence of the Creator, we only have to reflect on Mother Earth. As Above, So Below. Just as Mother Earth reflects everything that We Are, so is she a reflection of the Creator. We can see the Creator in the grandest to the smallest parts of Mother Earth. We can see Who the Creator is, reflected in every living thing that holds the instinct to Express Love and Care for another. As the Eagle/MEN trecena elevates us to a Higher Divine Discernment, we could consider that a Creator who desired relationship, who wanted to be Known, gave us a Mother that would be the first thing we would see… and Mother Earth would be the place we would Live to Know the Creator. The Creator exists in both the One and the All. My waking thoughts were that we would always manifest an Intention for a Closer Relationship with the Creator… as the Truth of Divine Justice. Distilled to its essence, our Divine Life’s Purpose is to create Beauty. This is what we were designed to do… just as the smallest creatures build a nest, so were we given the instinct to Love and Care for others. The indigenous peoples saw the Earth and its Beauty as something that couldn’t be bought, traded, or owned. They saw themselves as only the caretakers, responsible to honor the places where they would live. I realize the fundamental conflict of the outer world, is a fight to own beauty. Lower Selves, caught up by distraction in their own Illusion, fear there isn’t enough to go around. Beauty is even distorted further, as a superficial assessment of value. The outer world is a reflection of who WE are in our Lower State of Consciousness. The only thing that prevents us from seeing the Unlimited Abundance all around us is a lack of Divine Discernment. Love and Beauty have the Power to Heal our Fear. The Higher Self sees no reason for Conflict, only a Cry for Love. As our first step toward knowing the Creator, we only have to Open our Eyes. With a Higher Vision, we see the Beauty of Mother Earth as an Image of the Creator. We are dynamic creations that can’t be illustrated as static two-dimensional objects. In her Dance with the Sun, Mother Earth is the Living Portrait of the Creator. Earth/CABAN brings us into synchronicity with the rhythm of the Heartbeat of Mother Earth. Under the Guidance of Eagle/MEN we are given an Intuitive Sense of our Movement Together. Lifted to the Heavenly Realm, we can see our Oneness with Mother Earth by the Movement of the Stars. Earth/CABAN helps us release bad intentions, habits and ideas. We can feel a sudden release from attachments and feelings of “not enough” as we shift into a Movement that connects us as One with Everything. The Eagle’s view is not obstructed by fences or divisions of property by ownership or state. The Creator intended the Beauty of the Whole Earth for Everyone to See. 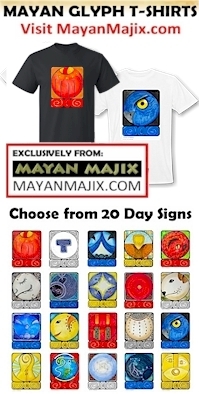 The Cherokee Day Sign of the Heron is compared to the Phoenix that rises from the ashes of the past. As we Move into Oneness with the Heartbeat of the Mother, we are reborn in the Movement of Life. A Divine Discernment by our Higher Self, Heals the Illusion of the Lower Self. To all my relations, may we celebrate this as the first day of a New Life. May we Open our Eyes again, for the first time, and See what we were given to See. May we remember the Mother Opens Her Heart to See Us whenever we are Present in Consciousness of Her. She’s the Mother that knows when her child wakes up. The Beauty we see is the Source of All Magic, as it Creates the Vibration of Gratitude. Like Jaguar, when we hold the Magic of Gratitude, we are capable to shape-shift and become like the Creator to Create Beauty in Every Thing. We are never wanting for beauty. Like the Eagle, we only have to look more closely, or from farther away. May we offer our Love and Gratitude to Mother Earth and remember that the Beauty that touches our Heart is a Living Reflection of the Creator. Visit the 13-Day Trecena Guide for daily aspects and events of the Eagle/MEN trecena. Galactic Tone 3: Action. Three is basic movement and communication, which begins as a vibration. Three energy is very eloquent in all types of self-expression. Communication is how Three establishes a point of agreement between any point “A” and any point “B”. Three persons are rhythmic to the core and are often restless, as motion is their nature. By working closely with the energy of Three, any person becomes more able to predict motions of all kinds. Earth/Caban: Earth/Caban: Keeper of the garden of Earth. Profound synchronistic connections to Earth’s natural cycles and energies provide power of creations and memories of ancient wisdom. Earth persons help dispel bad intentions, habits and ideas. This makes them very good counselors and masters of all arts. Studious and intelligent, Earth persons endeavor to bring a flow of natural order to all aspects of life. Being connected to the dynamic forces of nature, Earth persons need much liberty to facilitate their expression of migration or the sending of long distance communications such as the whales, elephants, birds and many other creatures. Sometimes Earth’s delicate sensitivities are upset resulting in quakes of emotion even the display of volcanic temper. Cherokee, Heron/GUWI’SGUWI: Sign of movement and perpetual motion, Heron is symbolized by Deneb, located in the Northern Cross beside the Milky Way. “The Northern Cross is the Tree of Life, Beside the Milky Way River & Perched atop is Guwi’ sguwi, the Cherokee Heron Spirit Bird, comparable to the Phoenix that rises from the ashes of the past. “Distilled to its essence, our Divine Life’s Purpose is to create Beauty.” — inhaling this one slow, Debra . . . lovely! Reblogged this on Daily Astrology.